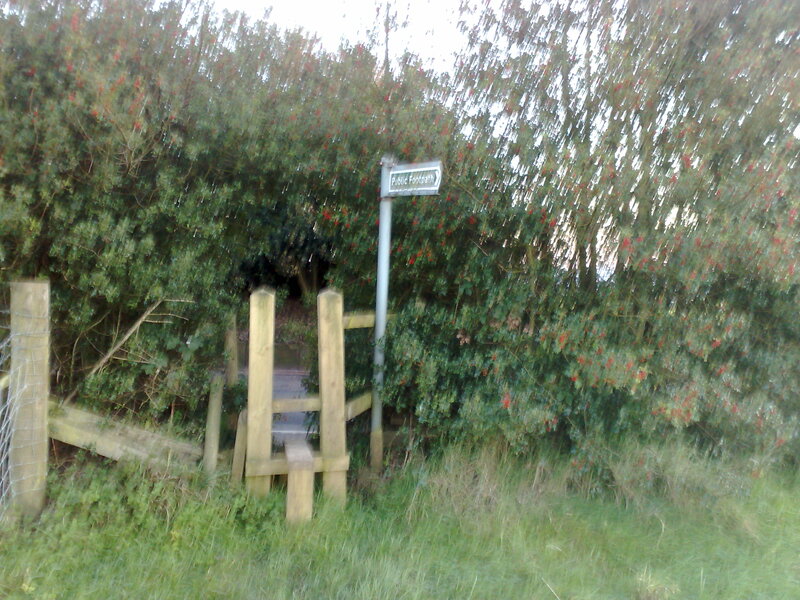 I decided to find the footpath that runs further up Matley Lane. 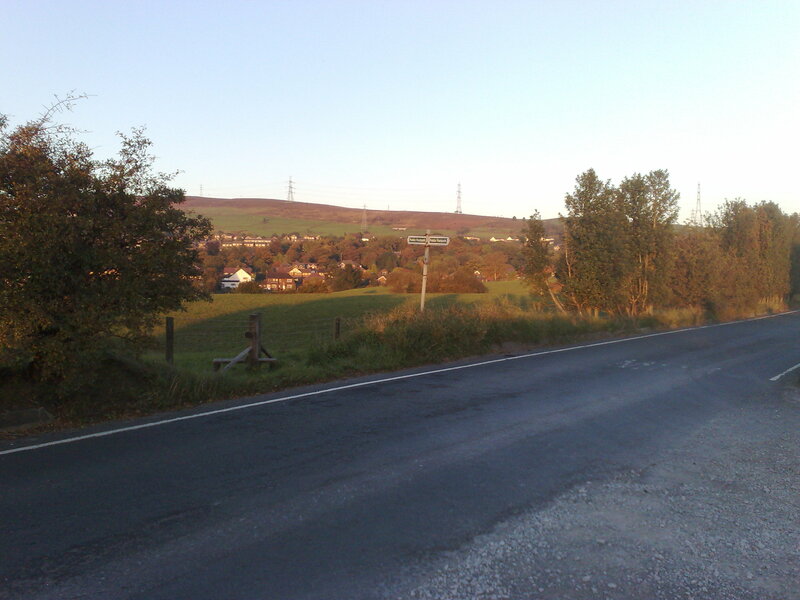 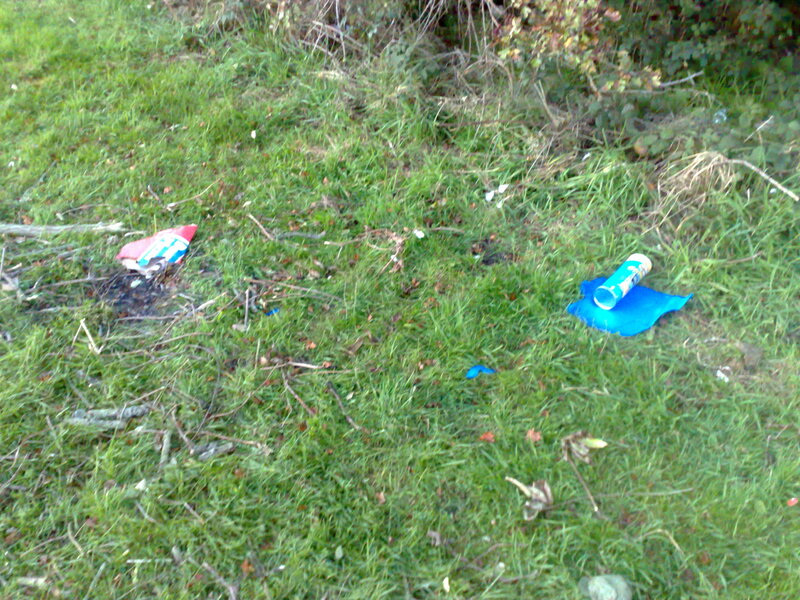 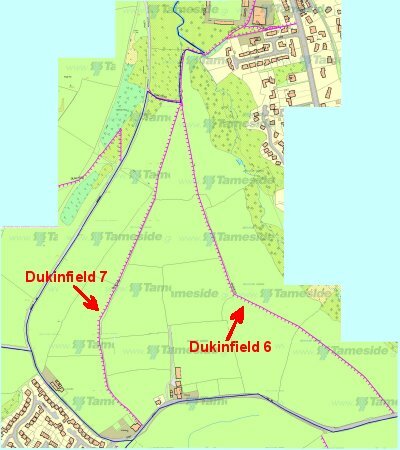 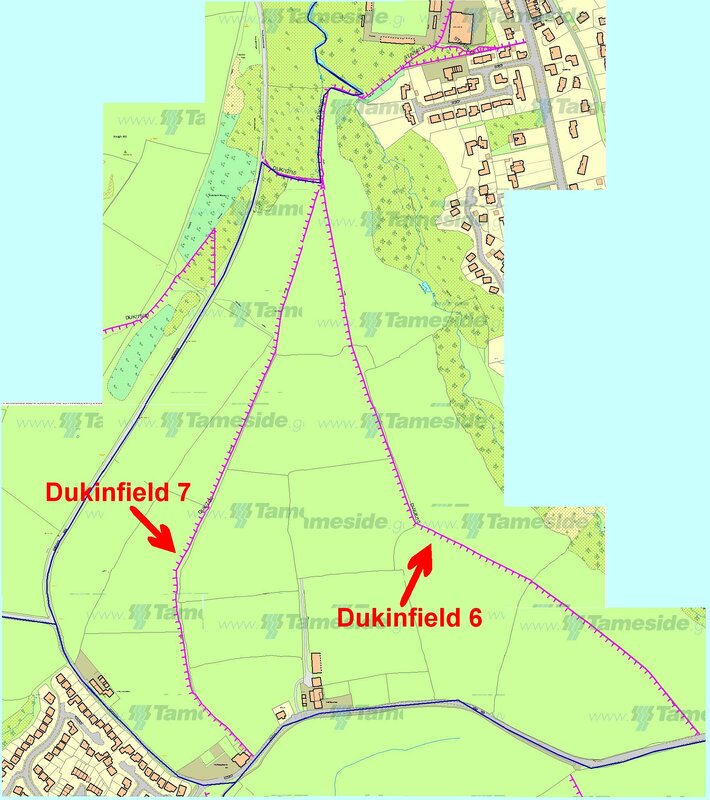 I'm off up Matley Lane to find "Dukinfield 6" and follow it back to the north end of Field 3. 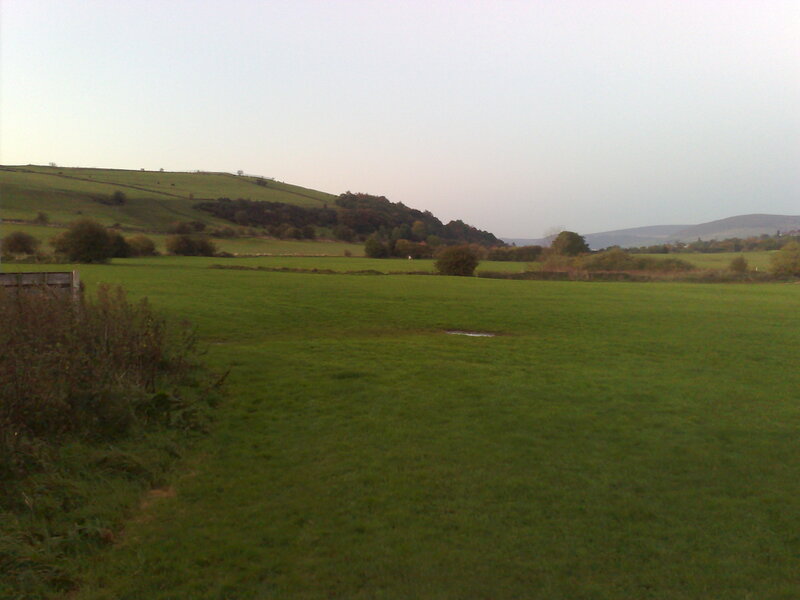 Click on any of the photographs below for the full-size picture. 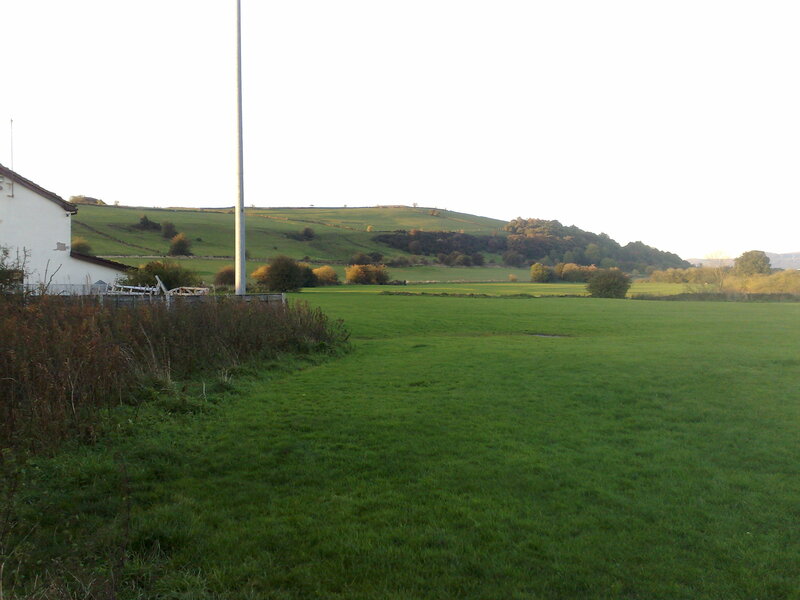 View from the access point into Field 1 from Early Bank Road. 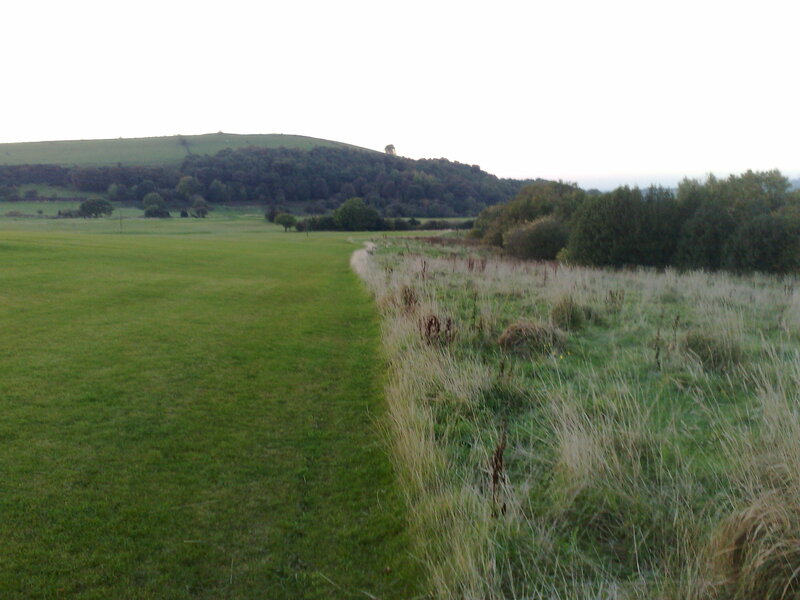 Right in the centre, you can see someone walking a dog along the edge of Field 2. 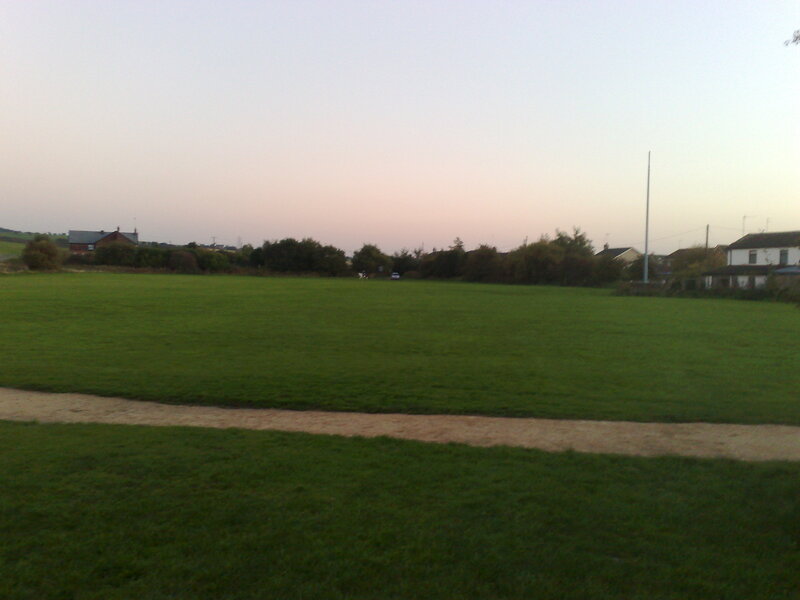 I don't know who these people are who say that no-one uses the fields. I've been here five minutes and seen three other people already. 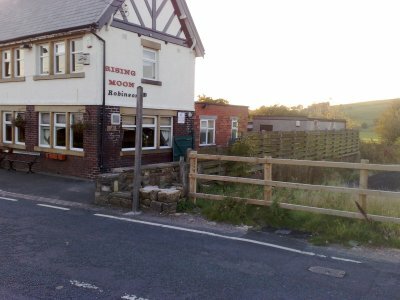 The entrance to the old footpath (Dukinfield 7) from Matley Lane at the east side of the Rising Moon Pub. 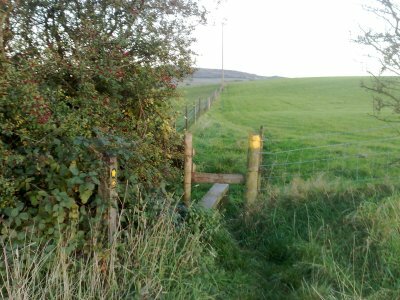 This footpath has now been moved to run from the "main entrance" to Field 1 as it was always fairly impassable along here. 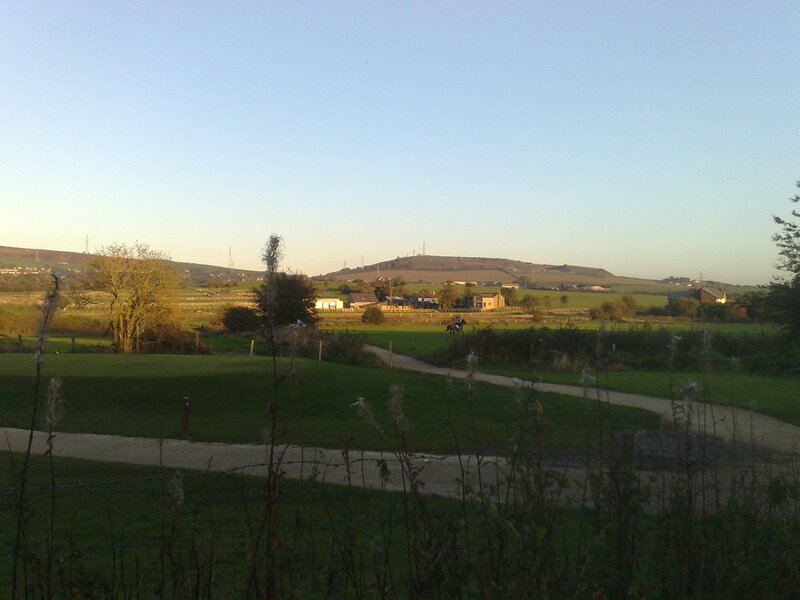 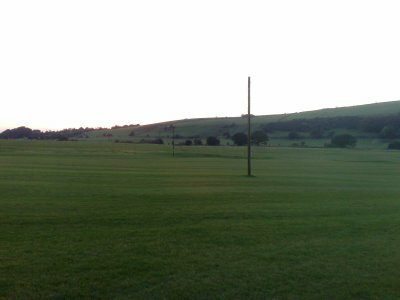 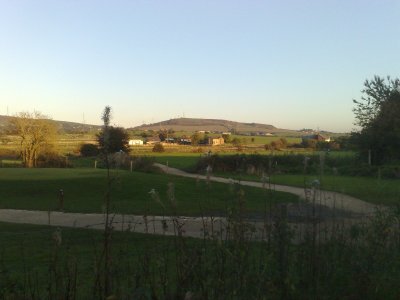 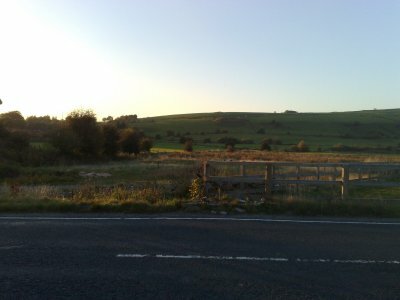 View of the fields from Matley Lane. 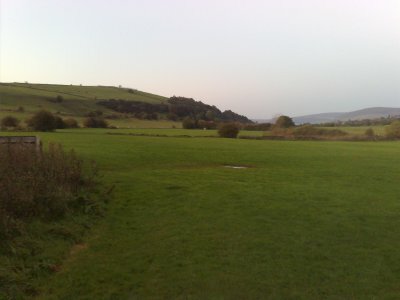 More people using the fields in the centre of the picture. 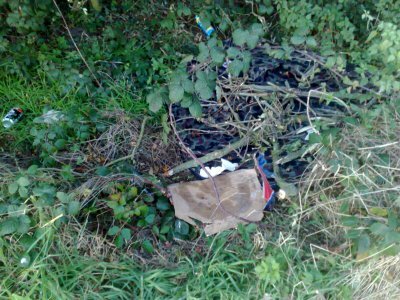 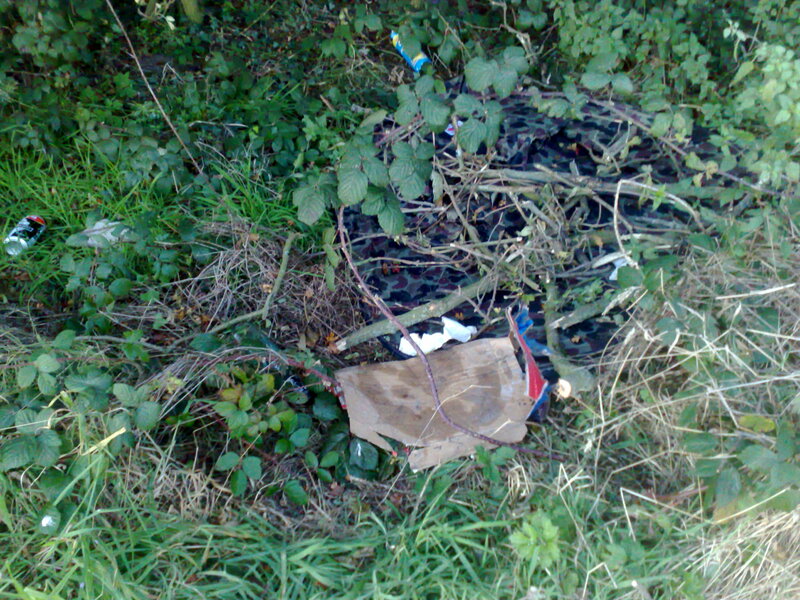 ...hidden in a hedge! 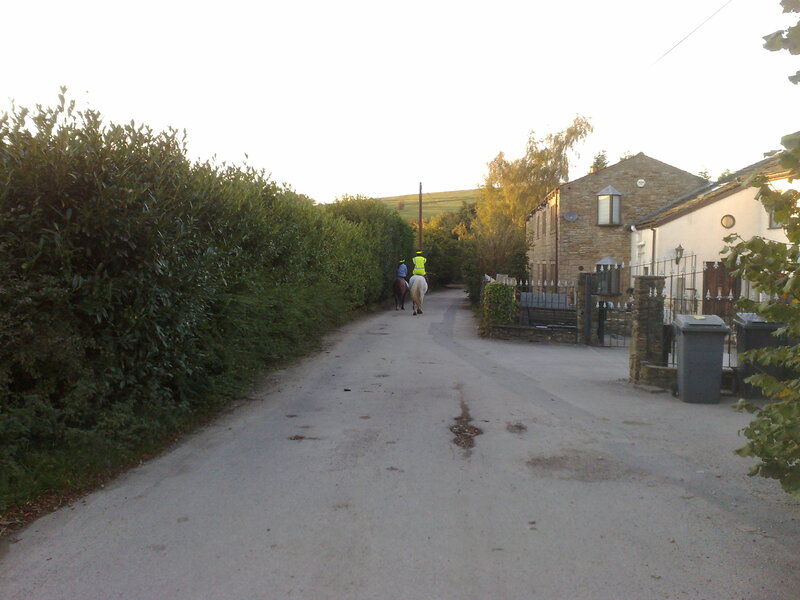 I took this photo from the field side as Matley Lane is very narrow here and was busy with the usual rush hour commuter traffic. You can just see the road surface of Matley Lane through the stile. 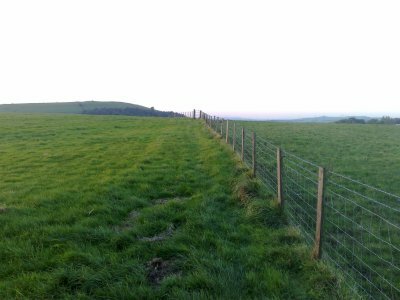 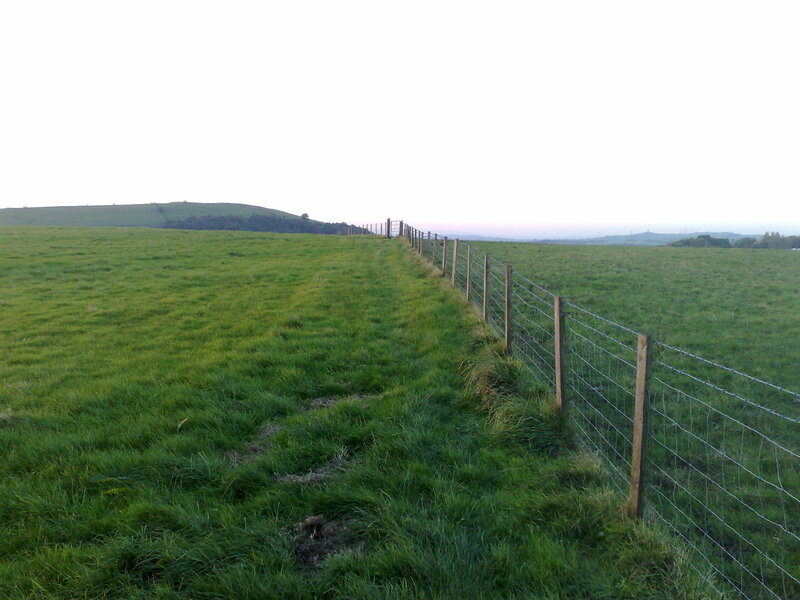 From the stile, looking North-West along the line of the footpath. 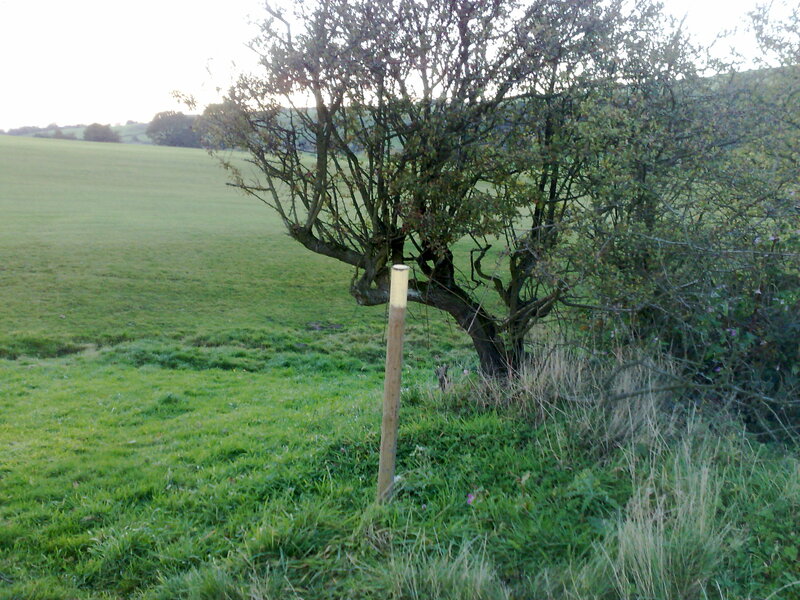 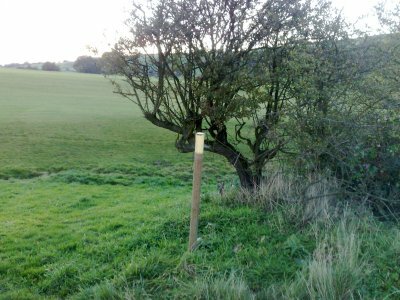 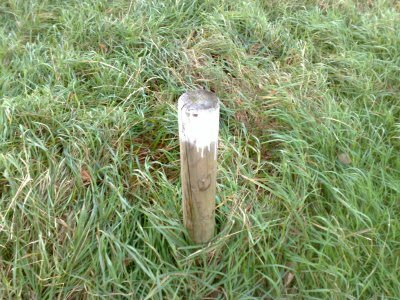 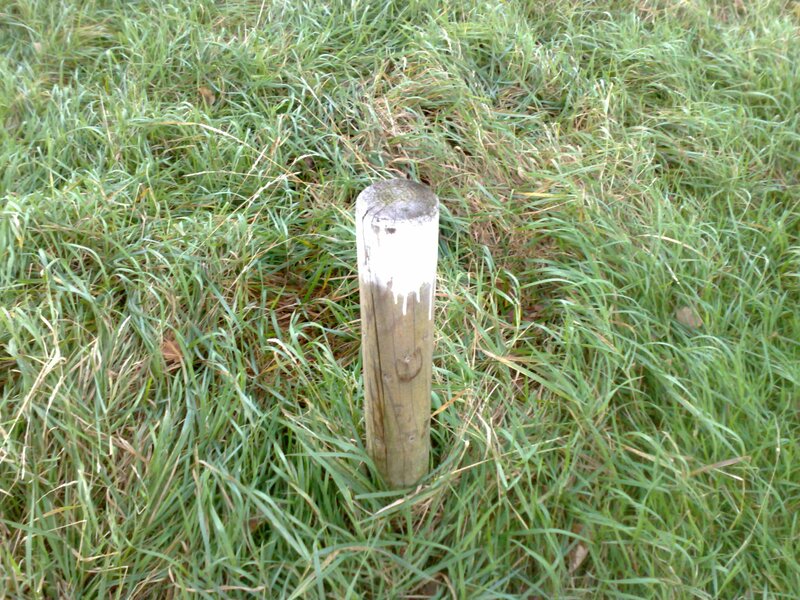 The stile marking the boundary to the new golf course. 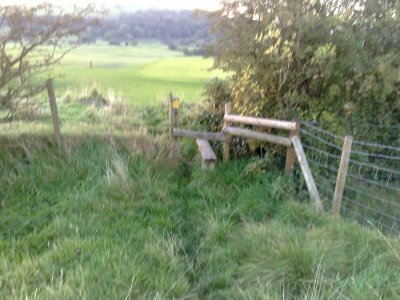 The same stile looking back the way I just walked. 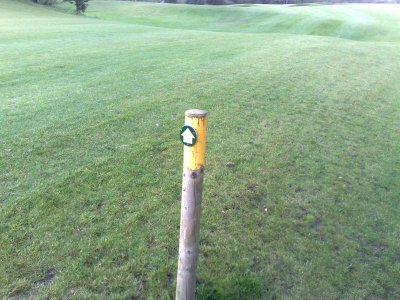 There are posts with yellow tops which I presume are meant to mark the way of the footpath from this point. 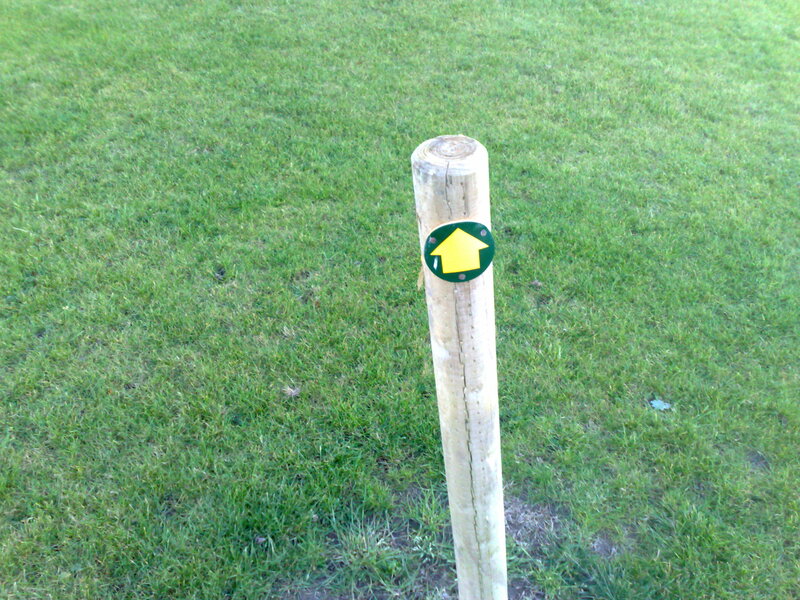 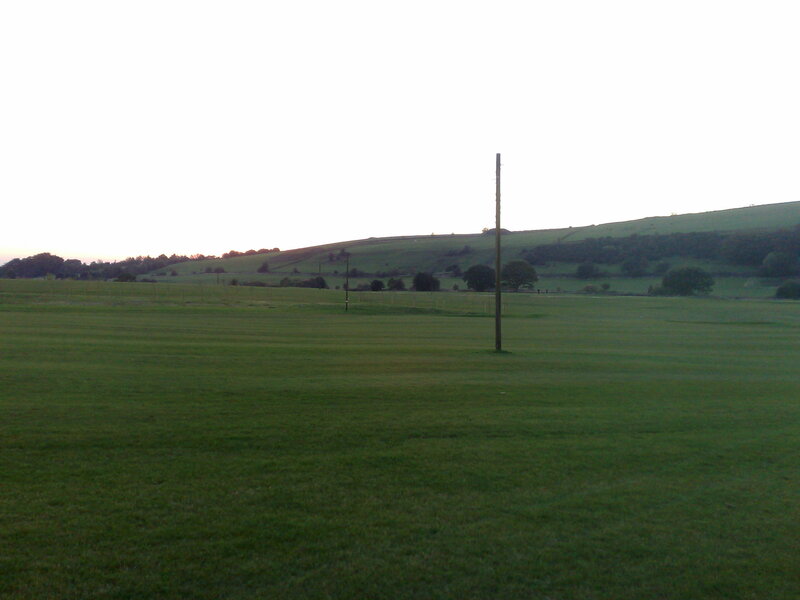 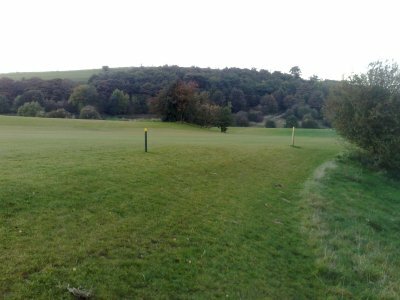 Following the line of posts along the boundary of the golf course, although the real footpath is south of here. I'm told this is a "permissive" path put in by the golf club to encourage people to keep off their fairways. 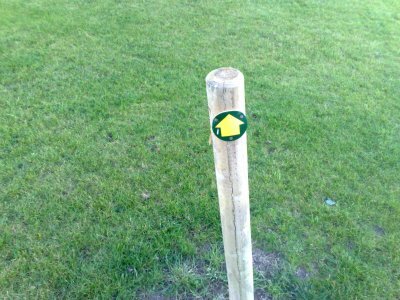 They appear to direct you away from the line of the footpath as this would send you towards Cheetham Park rather than the junction of "Dukinfield 6" and "Dukinfield 7"
Oddly we appear to have a post with a white top in Field 3, not sure what this means. I meant to take a photo of the gate into Field 3 before. 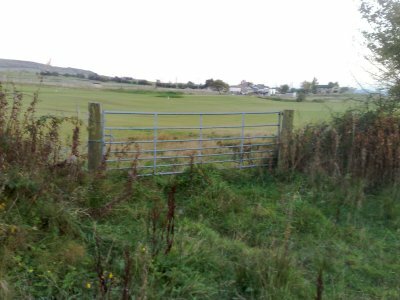 This is the only way into Field 3 for any sort of machinery, so its odd that TMBC say they cut the grass in Field 3 as they would have had no access to it. 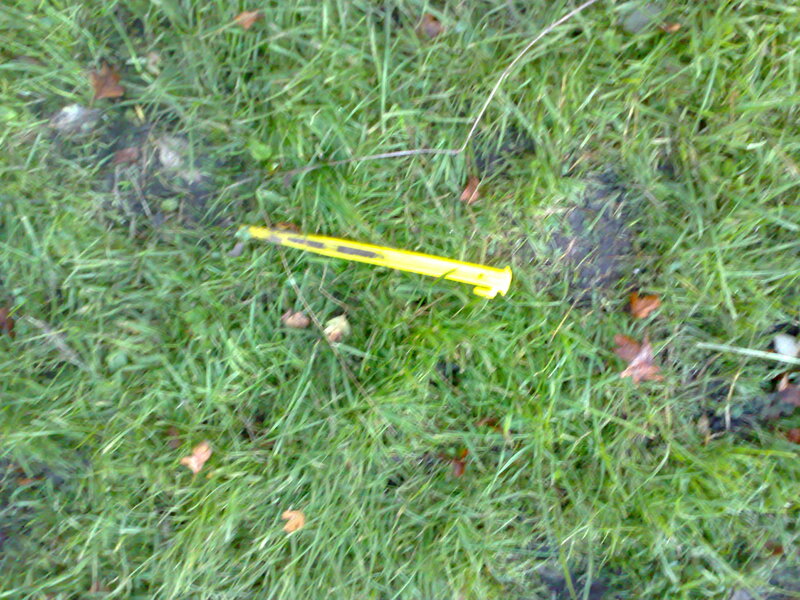 It seems more likely that the grass in Field 3 was cut by the farmer when the adjacent fields were still farm land. 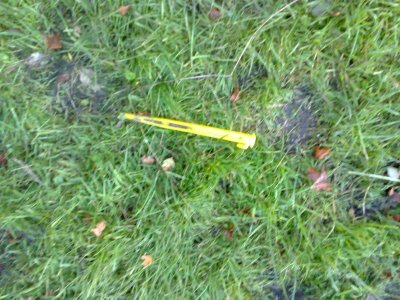 Evidence of rubbish, a ground sheet and a tent peg in Field 2, just at the boundary with Field 3, so someone has been camping here! 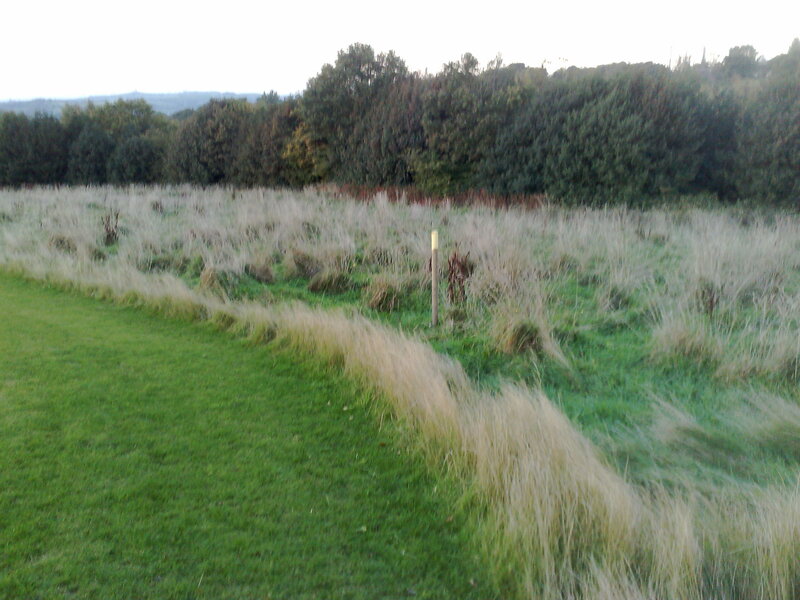 Boards left at the west edge of the golf club's first attempt at a path. 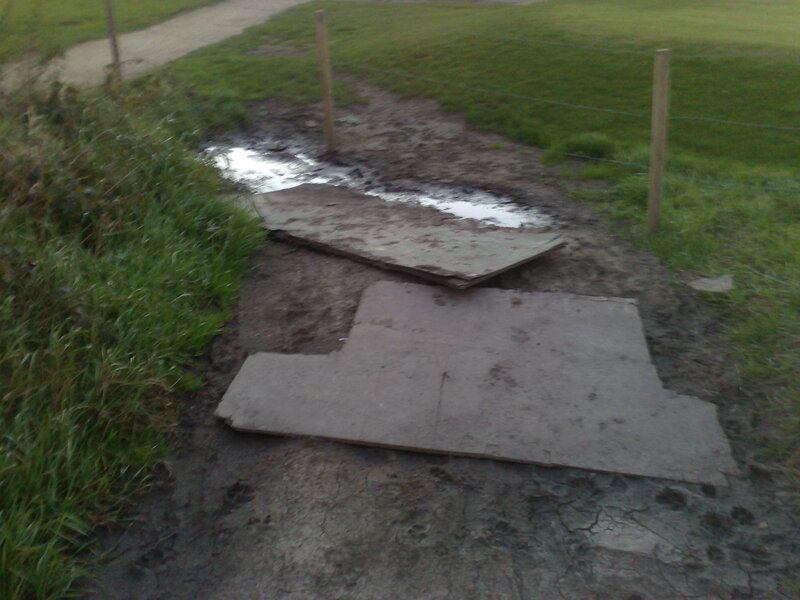 Interestingly the covenant on the easement they obtained for the path says they must repair any damage "immediately". 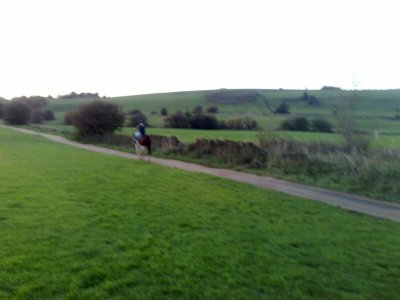 The same horse rider has moved up into Field 2. 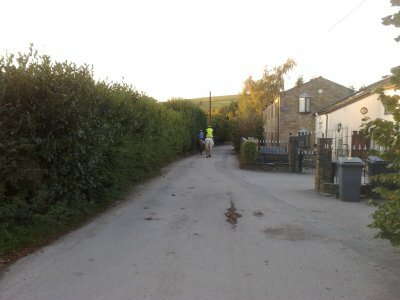 The light has nearly gone so I'm back off home.